I’ve always wanted to volunteer but never had the time. Now that I am in sixth form I do have the time to help others. The main reason why I want to volunteer is to help others but also because volunteering is a positive use of time that enables me to gain new skills. I have always been the person that will help others before thinking about myself and I wanted to put that to good use. 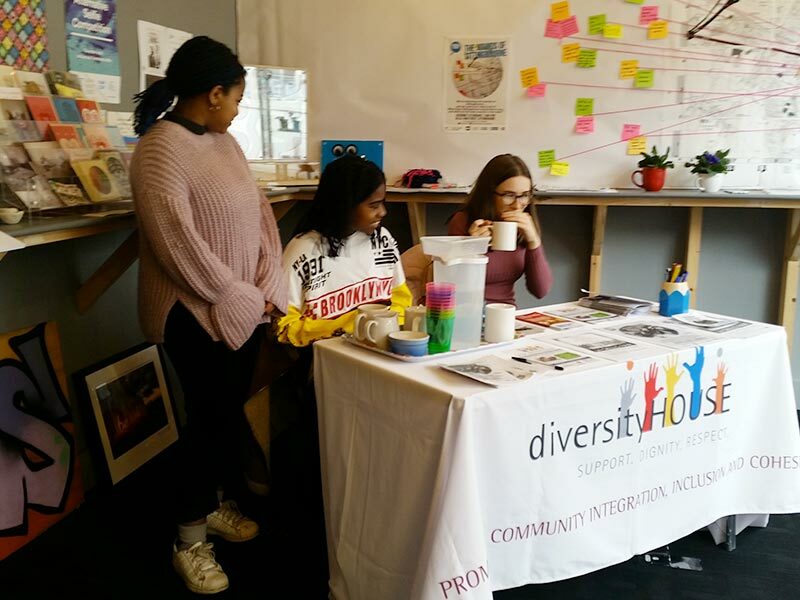 My first day volunteering at Diversity House took place at Ideas Test on the High Street in Sittingbourne at the ‘From Bean to Bar’ chocolate workshop. It was an amazing experience for anyone who wants to gain skills with regards to working with the public. As a first-time volunteer, I gained many new skills that will benefit me significantly in the future. My duties included: making hot drinks for anyone at the event, signing people in, handing out leaflets to members of the public and just being a friendly face which people could talk to. I knew that it wouldn’t be easy handing out leaflets, as many people on the streets were either; busy shopping or going somewhere, meaning they didn’t want to know about the event I was inviting them to. Although many people didn’t acknowledge me, I successfully handed out lots of leaflets to many families which I knew would be interested. Everyone who was hosting the event was extremely polite, friendly and welcoming, showing me around the building and informing me on how to make ‘real’ chocolate which allowed me to inform everyone who came to the event. Overall, the other volunteers made me feel comfortable and relaxed and demonstrated to me how to work with members of the public. To anyone who wants to volunteer but feels anxious and not motivated to become a volunteer, don’t worry, you have absolutely nothing to be worried about. I’m excited and gaining more confidence to learn more during the coming months.